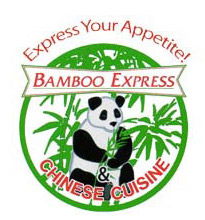 Online ordering menu for Bamboo Express Chinese Cuisine 1 (SOUTH ALVARADO). Welcome to Bamboo Express Chinese Cuisine, a straightforward spot for a range of familiar Chinese eats. Find us at 600 S Alvarado St across W 6th Street. Just 3 minutes walking distance from Westlake/MacArthur Park Station, and 2 minutes drive away from The Home Depot. Stop by today to taste our amazing menu. Order online now for takeout and delivery orders.